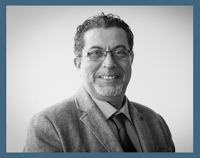 Professor Salama contributed to a number of professional and academic activities including jury membership, service to journal and scientific committees, editorial roles, and invited talks, keynotes, and lectures, as well as interviews. 2003 to Present: Regular Editorial Board Member and/or Reviewer to the following international journals Alam Cipta; Asian Architecture and Building Engineering; Cities; Construction Innovation; Fabrications; Frontiers of Architectural Research; Global Built Environment Review; Habitat International; International Journal for Environmental Research and Public Health; International Journal of Islamic Architecture; International Journal of Sustainable Built Environment; Journal for Education in the Built Environment; Journal of Design Research; Journal of Architecture and Urbanism; Journal of Urbanism; METU Journal of the Faculty of Architecture; Smart and Sustainable Built Environment; Urban Climate; Urban Design and Planning; Visualization in Engineering; and many other. 2007 to Present: Chief Editor, Archnet-IJAR, International Journal of Architectural Research, Published by Emerald Publishing Group. Indiexed in Archnet @ MIT Aga Khan Documentation Center, Cambridge, Massachusetts, United States; Avery Index to Architectural Periodicals at Columbia University New York; CNKI - China National Knowledge Infrastructure; Emerging Sources Citation Index (Clarivate Analytics); EBSCO Publishing; the ELSEVIER Bibliographic Database SCOPUS; Pro-Quest. The 2017 CiteScore for Archnet-IJAR is 1.17 and the current 2018 CiteScore Tracker is 0.98. It is ranked as a Q1 Journal in Architecture (#21 of 98) and a Q2 Journal in Urban Studies (#41 of 142). 2008 to Present: Co-Editor, Open House International, Urban International Press, United Kingdom, Indexed by EBSCO Publishing, the ELSEVIER Bibliographic Database SCOPUS, Arts and Humanities Citation Index, Social Sciences Citation Index of Clarivate Analytics (Formerly Thomson Reuter) Scientific- ISI index bases. 2019: Member; Scientific Committee: ICMA. 2nd International Conference on Mosque Architecture, Al Fozan Award for Mosque Architecture and Islamic Arts Museum Malaysia. 2018: Member, Scientific Committee: PLEA International Conference, Smart and Healthy PLEA 2018, Hong Kong. Also with PLEA 2017: Forum and Track Chair: PLEA International Conference, Designing to Thrive: PLEA 2017, Edinburgh, United Kingdom. 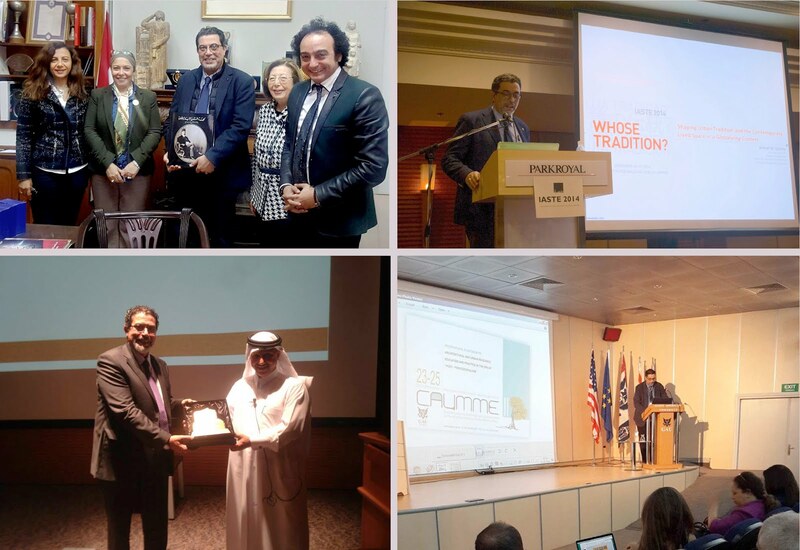 2018: Conference Co-Chair, International Symposium: CAUMME-2018, Contemporary Architecture and Urbanism in the Mediterranean and the Middle East. Borders in Architecture, Bahcesehir University, Istanbul, Turkey. 2016 - 2017: Member, International Scientific Committee: Silk Cities 2017: Reconnect Population and Urban Heritage in the Middle East and Central Asia, UCL Development Planning Unit, London, United Kingdom. 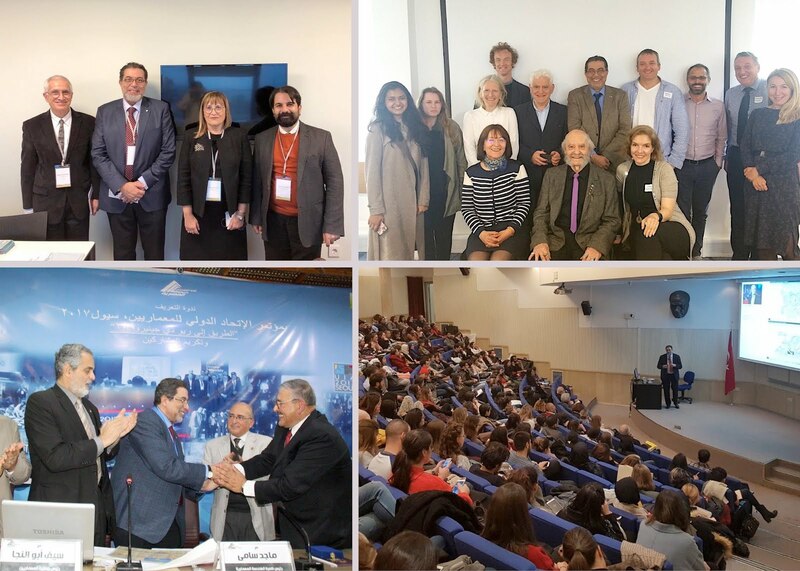 2015-2016: Track Chair and Member, International Scientific Committee, International Conference: City Street 2:Transforming the 21st Century City Streets, Notre Dame University, Beirut, Lebanon. 2013-2014: Conference Co-Chair, International Symposium:CAUMME-2014, Contemporary Architecture and Urbanism in the Mediterranean and the Middle East. Garne American University, Northern Cyprus. 2012-2013: Member, International Scientific Committee, IAPS International Network Symposium 2013 Sustainable environments in a Changing Global Context: opportunities for innovative spaces and practices in contexts of crisis, (May 2013), Coruna, Spain. 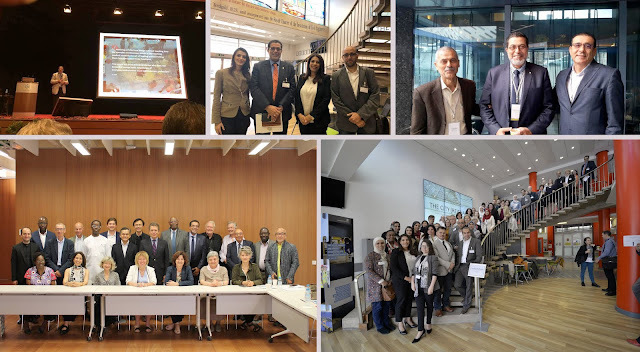 2011-2012: Conference Co-Chair, International Symposium:CAUMME-2012, Contemporary Architecture and Urbanism in the Mediterranean and the Middle East. Yildiz Technical University, Istanbul, Turkey. 2011: Member, International Review Board. International Conference of Architectural Humanities Research Association—Peripheries 2011, Belfast, United Kingdom. 2010-11: Member, International Review Board, 44th Annual Conference of ANZASCA-2010 (Australia New Zealand Architectural Science Association), On the Edge: Cross-Disciplinary and Intra-Disciplinary Connections in Architectural Science, UNITEC Institute of Technology: Auckland, New Zealand. 2008-2009: Member, International Scientific Committee, Re-Qualifying Old Environments for New Uses, International Symposium- IAPS Culture and Space and Housing Networks and Istanbul Technical University, Istanbul, Turkey. 2006-2007: Member, International Scientific Committee, Rebuilding Sustainable Communities in Iraq: Policies, Programs and Projects. College of Public and Community Service, University of Massachusetts at Boston, Boston, MA: United States. 2007-2008: Member, International Scientific Committee: Conference of IAPS on Biodiversity and Well Being, International Association for People Environments Studies, and the University of Sapienza, Rome, Italy. 2006: Member, International Scientific Committee, Changing Trends in Architectural Design Education: Sharing Experiences and Building Partnerships across the Mediterranean Rim. The Center for the Study of Architecture in the Arab Region (CSAAR). In Collaboration with National School of Architecture, Rabat, Morocco. 2006: Member, International Scientific Committee, IAPS-19, Conference of the International Association for People- Environments Studies: Environment, Health, and Sustainable Development, Bibliotheca Alexandrina, Alexandria, Egypt. 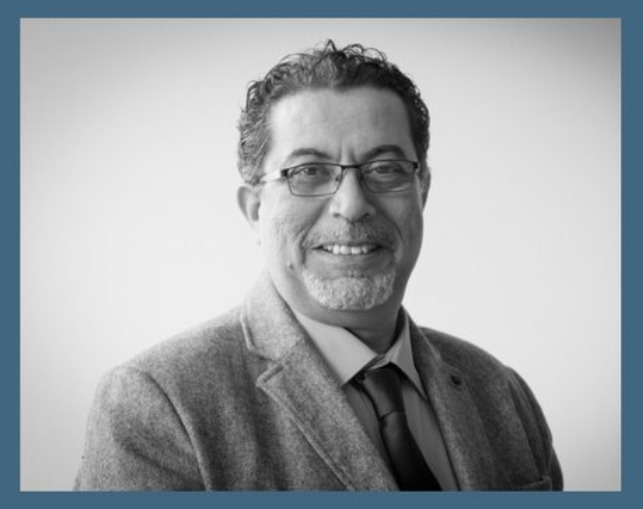 2016 - 2017: International Jury Member: Hasan Fathi Award for Traditional Architecture, Bibliotheca Alexandrina, Ministry of Culture, Alexandria, Egypt. 2011 -2013: Member-Advisory Panel on the Project: Gulf Encyclopedia of Sustainable Urbanism, Graduate School of Design, Harvard University, Cambridge, MA, USA. 2012: Jury Member, CityScape, Architecture and Development Awards (Mixed Use Development, Sustainable Architecture, and Urban Regeneration Categories). Cityscape, Doha, Qatar. 2012: Jury Member, International Competition on Designing a Prototypical Eco-House, Gulf Organization for Research and Development, QSTP-Qatar Science and Technology Park, Doha, Qatar. 2010: International Jury Member for the NIASA-National Institute for Advanced Studies in Architecture in India, to act as judge on the Council of Architecture’s Awards for Excellence in Architectural Thesis” program of 2010, Pune, India. 2008-2009: Jury Member, International Competition for Students: Revitalizing and Development of Transit Areas: International Association for Humane Habitat and Rizvi College of Architecture, Mumbai- India. 2018 - 2020: UIA - UNESCO - Member, the Steering Committee of the Education Commission and Validation Council. 2006-2007: Jury Member, Architecture Plus Awards 2nd Cycle, Architecture of the New World, Dubai, UAE, Emirates. 2006: Jury Member, International Competition for Students: Sustainable and Humane Workplaces. International Association for Humane Habitat and Rizvi College of Architecture, Mumbai- India. 2005: Jury Member, International Competition for Faculty Members: Alternative Educational Ways for Teaching and Learning Architectural Design. Open House International-OHI, UK and Eastern Mediterranean University, Northern Cyprus. 2005: Jury Member, International Competition for Students: Enlightening Learning Environments. International Association for Humane Habitat and Rizvi College of Architecture, Mumbai- India. 2002: Advisor, California Schools: Post Occupancy Evaluation Tool Kit. A project carried out by the Center of Sustainable Facilities and Infrastructure, Georgia Institute of Technology, Georgia, United States. 2002: International Jury Member, Represented the International Union of Architects-UIA in the International Competition for Planning and Designing a Central Urban Park in the City of La Paz, Bolivia. 2000: Reviewer and Critic, Canton of Sarajevo, Institute for Planning. United Nations International Urban Planning Competition and the International Program of the Revitalization of Sarajevo, Bosnia and Herzegovina. 2000: Member, Committee on Architecture, Supreme Council for Culture, Ministry of Culture, Cairo, Egypt. 1998-2001:Technical Reviewer, the 8th Cycle of the Aga Khan Award for Architecture. Work involved evaluation of two low-income housing projects in Algeria designed by Al Meniawy Brothers, and the Islamic Cultural Center of Rome, Italy, designed by Paolo Portegesi and others, Geneva, Switzerland. 1995-2000: International UIA Expert: (Representing the International Union of Architects- UIA). 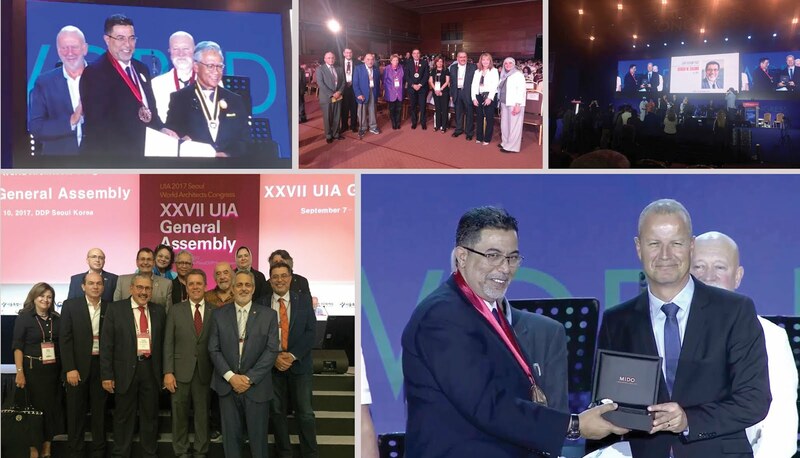 UIA - UNESCO Committee for Developing the Charter of Architectural Education. The International Union of Architects-UIA and UNESCO, Paris, France. October 2018: Invited Speaker: Embracing Social Innovation for Future Built Environment Professionals. Symposium on Communities for a Changing Population, Planning Aid Scotland (PAS), Glasgow, UK. September 2018: Keynote Speaker: A Comprehensive Framework for Understanding Cities Shaping and (Re)Shaping Processes. International Conference: The City (Re)Shaped: Exploring the nexus between politics, memory, and urbanism in the built environmen, University of Leeds, UK. September 2018: Keynote Speaker: The Quest for Socio-Cultural Sustainability: Implications for Research and Education. The Second International Conference for Sustainable Design of the Built Environment SDBE: Research in Practice. , University of East London, UK. July 2018: Keynote Speaker: KLAF 2017, Kuala Lumpur Architectural Festival. The Future of Architectural Education and Design Pedagogy in a Global Society, Kuala Lumpur, Malaysia. November 2017: Invited Speaker - Two Guest Lectures: Globalization and Sustainable Urbanism in the Emerging Cities of the Middle East and Architectural/Urban Education for a Knowledge Making Profession, Faculty of Architecture, University of Belgrade, Belgrade, Serbia. November 2017: Invited Visiting Professor -- Program included: two guest lectures and a series of design workshops. Guest Lectures were: Housing Transformations in the Arabian Peninsula and Shifting Perspectives and Emerging Directions in Design Pedaogy, Bilkent University, Ankara, Turkey. June 2015: Speaker, The Then, the Now, and the Future of Architectural Education, Leicester School of Architecture, De Montfort University: Leicester, United Kingdom. May 2015: Keynote Speaker, Interrogating Urban Regeneration and Development in Cities of the Middle East, Royal Incorporation of Architects in Scotland-RIAS International Convention 2015: Big Moves - Local Agendas, Dundee, United Kingdom. March 2015: Distinguished Visitor/Speaker, Researching the Global South: Contemporary Research Trends in Architecture and Urbanism, Distinguished Visitor Program at Grenfell-Baines School of Architecture, Construction, and Environment and the Center for Sustainable Development at the University of Central Lancashire, Preston, United Kingdom. December 2014: Keynote Speaker, Shaping Urban Tradition and the Contemporary Lived Space in a Globalizing Context, IASTE 2014: Whose Tradition? 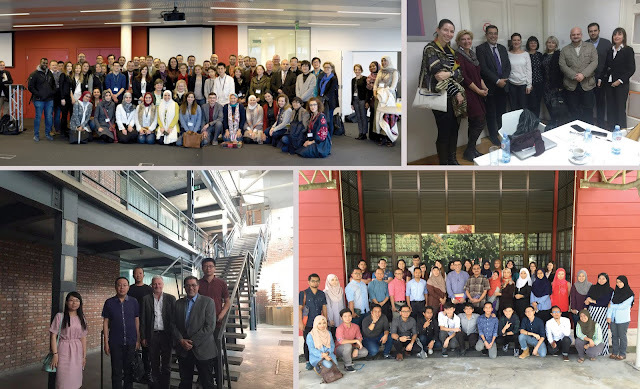 : Biennial Conference of the International Association for the Study of Traditional Environments, University of California - Berkeley, Kuala Lumpur, Malaysia. December 2013: Keynote Speaker, Evolving Sustainable Design Approaches in Architectural Practice and Education, SUSTED’13, International Conference of Sustainable Tropical Environmental Design, University Putra Malaysia, Putrajaya, Malaysia. May 2013: Invited Speaker, Transformation of Arab Architectural and Urban Education in a Global World, Yale University Alumni Association 2nd International Conference, Navigating the Tide: Urban Transformations in the Arab World, Doha, Qatar. 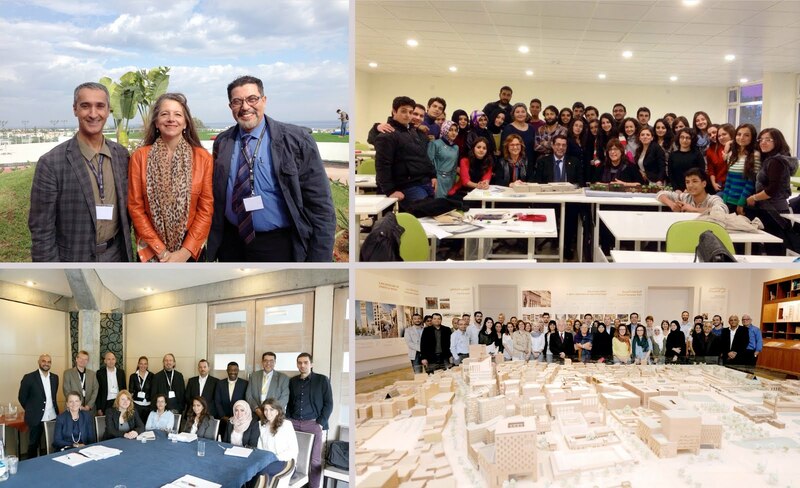 April 2013: Invited Speaker, Multiple Architectural Modernities in the Arabian Peninsula in a World of Global Flows, Workshop in Place-Making and Cultural Identity of Cities, Beirut Arab University, Beirut, Lebanon. October, 2012: Keynote Speaker, Beyond the Consumption of Knowledge in Architectural Education, MAEC-2012, Malaysian Conference of Architectural Education. Council of Heads of Schools of Architecture in Malaysia, Serdang, Malaysia. April 2012: Speaker and Design Studio Reviewer, Contemporary Architecture and Urbanism in the Gulf Region. Middle East Lecture Series and Middle East Studio, ETH-Chair: Josept Lluis Mateo. Swiss Federal Institute of Technology-ETH, Zurich, Switzerland. May 2012: Key Speaker, Sustainable Qatar: From Individual Buildings to Urban Development and Sustainable Growth, Regional Sustainable Building Forum, Qatar Green Building Council, Doha, Qatar. October, 2011: Invited Speaker: Image and Place-Making, A Symposium entitled Urban Dynamics in the Gulf Region Challenges, Options, Horizons, Technical University of Munich, Munich, Germany. March 2010: Key Speaker, Delivering Sustainable Building, Processes from Inception to Assessment, MEED Regional Conference, Building Sustainable Communities in Qatar, Doha, Qatar. November 2009: Keynote Speaker, Social and Cultural Sustainability-Responsive Pedagogy and Practice. 1st.International Conference on Environment-Behavior Studies, -cEBs, Center for Environment-Behavior Studies, University Technology Malaysia-MARA, Shah Alam, Malaysia. September 2009: Speaker, Sustainable Architecture and Urban Space—Constituents and Challenges, Institute of Spatial and Territorial Planning, Munich University of Technology, Munich, Germany. February 2009: Speaker, The Future of Sustainable Learning Environments, Lincoln School of Architecture, University of Lincoln, United Kingdom. October 2007: Speaker, Research Based Architectural Design Pedagogy: Consumption vs. Production of Knowledge, Faculty of Design and Architecture, University Putra Malaysia, Serdang, Malaysia. February 2007: Speaker, Plurality of Architectural Trends in the Middle East, the Paradox of Identity, Tradition, and Modernity, Medina Forum, the American University of Sharjah, UAE Emirates. July 2006: Speaker, Workshop on Architectural Education in Developing Countries, Aga Khan Trust for Culture- AKTC, Education and Culture Program, Geneva, Switzerland. January 2006: Invited Visiting Professor, Faculty of Architecture, University of Napoli. Seminar on Architecture as Language of Peace, as part of a short course on Mediterranean Architecture. Napoli, Italy. January 2005: Keynote Speaker, International Association for Humane Habitat-IAHH. An Alternative for Creating Humane Environments. IAHH and Rizvi College of Architecture. Mumbai, India. January 2002: Speaker, The Bolivian Cultural Center and the Mayor of the City of La Paz. Issues on Architecture and Urbanism in the Developing World: Globalization, Tradition, and Identity. La Paz, Bolivia. October 2001: Keynote Speaker, SAIE International Conference and Exhibition on Sustainability in the Mediterranean. Summary of Efforts on Sustainable Development in Egypt. Bologna, Italy. April 2001: Speaker, The Aga Khan Trust for Culture -AKTC and Lausanne Federal Institute of Technology, EPFL. A New Paradigm for Design Studio Teaching Practices. Monte Verita, Ascona, Switzerland. July 2001: Plenary Speaker, The 32nd. Annual Conference of EDRA-Environmental Design Research Association, Old World-New Ideas, The Design Studio Under the Microscope, Robert Gordon University and University of Edinburgh, Edinburgh, United Kingdom. January 2001: Speaker, Faculty of Architecture, University of Napoli. Change and Development in Egyptian Traditional Houses. Napoli, Italy. October 2000: Speaker, College of Architecture and Planning, Massachusetts Institute of Technology- MIT, Archival Materials and Contributions of MIU Department of Architecture in the Archnet Website, funded by the Aga Khan Trust for Culture' Education and Culture Program. Cambridge, MA. United States. May 2000: Speaker, School of Architecture, National University of Singapore. Toward an Interdisciplinary Architecture: Knowledge-Based Design Practices. Singapore. March 2000: Speaker, Ecolodge Forum, Hagler Bailly Services and the Egyptian Ministry of Tourism. Ecolodges: A Futuristic Epic for Ecotourism Development. Cairo, Egypt. November 1999: Speaker, American University of Beirut (AUB), and the Aga Khan Award for Architecture. Contemporary Architecture of Egypt: Reflections on Architecture and Urbanism of the Nineties: The Case of Egypt. Beirut, Lebanon. October 1999: Speaker, Czech Chamber of Architects. Post Occupancy Evaluation and Sustainability. Prague, Czech Republic. April 1998: Speaker, the Aga Khan Trust for Culture- AKTC and Lausanne Federal Institute of Technology. Socio-behavioral Studies in Middle Eastern Schools of Architecture. Monte Verita, Ascona, Switzerland.